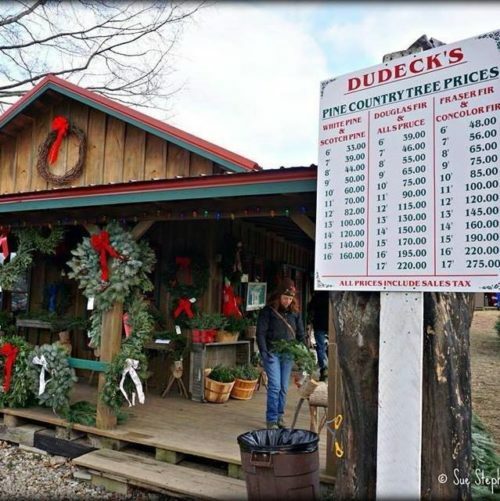 Dudeck's Pine Country Christmas tree farm has been a family owned and operated business for over 40 years. Our many years of growing quality pine, fir, and spruce have made us the place to go for beautiful Christmas trees, wreaths, grave blankets, greens, roping, and more for hundreds of families each year. We are located in Rolling Prairie, Indiana, and are open for business from the day after Thanksgiving through December 22nd. We are open from 9 a.m. until dark, Central time. For information on finding us, please review our Contact Info. Come and see why families enjoy their annual trip to the rolling hills of Dudeck's 80-acre Christmas tree farm and be a part of the tradition with them.